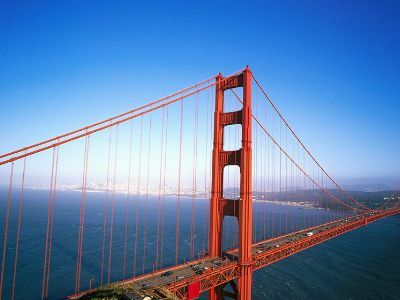 These Las Vegas to San Francisco tours range three to fourteen days and are packed with a number of exciting options. When you want to spend some time in Las Vegas and see numerous sites of the American West as well as along the West Coast from Los Angeles to San Francisco to Yosemite National Park then a bus tour from Las Vegas is an ideal way to go. You can choose to take a bus tour from Las Vegas to several national parks including the Grand Canyon, Yellowstone, Mount Rushmore and Yosemite as well as view iconic monuments like Crazy Horse. 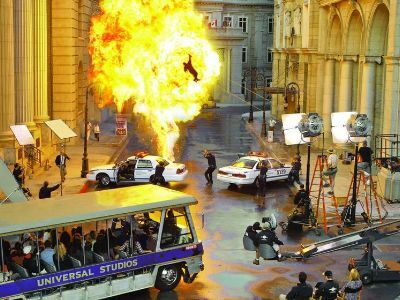 The West Coast bus tours from Las Vegas travel to Los Angeles with side trips to theme parks like Universal Studios or Disneyland. Once in San Francisco you can walk along Pier 39 and enjoy a fabulous cable car ride. When you want to spend an equal amount of time in San Francisco and Las Vegas while viewing some incredible sites at each location, then the 5-Day Las Vegas to Grand Canyon, San Francisco and 17-Mile Scenic Drive Bus Tour is a superb selection. Your first two nights will have you bedding down in Las Vegas where you can take in the sights and sounds of the Fremont Street Experience or the Strip. During the second day you will take a side trip to the Hoover Dam and the South or West Rim of the Grand Canyon. Day 3 will be on your way to the City by the Bay where you will spend the next three days. On the fourth day you will take an excursion down the Pacific Coast Highway to Monterey Bay and visit Pier 39 in San Francisco. The last day of your journey has you on a city tour viewing sites like the Golden Gate Bridge, Lombard Street and you can take a ride on a cable car for fun. If you only have a few days and want to see as much of Las Vegas and San Francisco on your trip then take the 5-Day Las Vegas to San Francisco, Grand Canyon, Antelope Canyon Tour. Your first is spent in Las Vegas where you go over the itinerary and have time to catch a show or walk the Strip. Day 2 you are on the move to Flagstaff, Arizona via the South Rim of the Grand Canyon, Page and Kanab, Arizona. On the third day you depart from Flagstaff to return to Las Vegas with stops along the way at the Horseshoe Bend of the Colorado River, Lake Powell and Upper Antelope Canyon. Day 4 you travel from Las Vegas to San Francisco where you will have time to take in a few sites before bedding down for the night. 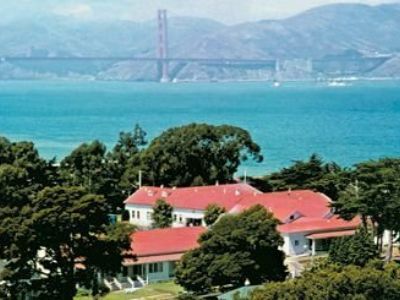 The last day of your excursion is in San Francisco where you will tour the city’s sites from the Golden Gate Bridge to Pier 39 to riding the cable cars. 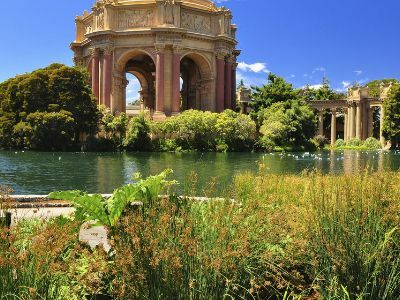 A superb way for you to see the splendors of San Francisco and spend some quality time in Las Vegas in on the 6-Day Bus Tour to Grand Canyon, San Francisco and 17-mile Scenic Drive from Las Vegas. Your 6-day journey begins when you stay two nights in Las Vegas with a side trip to the West or South Rim of the Grand Canyon and Hoover Dam. Day 3 has you on the road to San Francisco where you will spend the next three nights and four days. 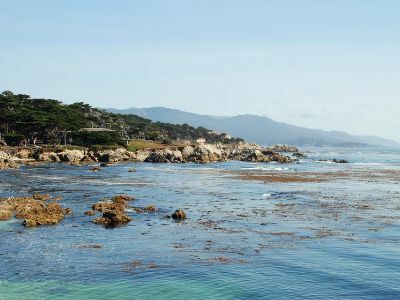 The fourth day has you venturing to Carmel for the night with stops at the Monterey Aquarium and a scenic drive along the Pacific Coast Highway. 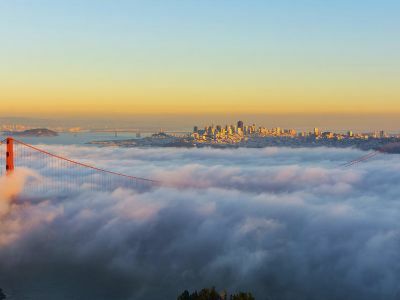 Day 5 you are back in San Francisco to rest your head and along the way you will see the Santa Cruz Municipal Wharf, the Roaring Camp and go shopping at the Gilroy Fashion Outlet. 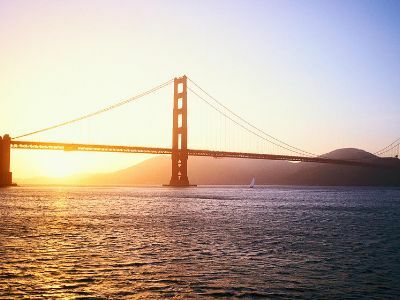 Your final day in San Francisco includes a tour of the city where can visit the Golden Gate Bridge, Lombard Street and ride the famous cable cars. The 6-Day West Coast Tour Package: Grand Canyon/Antelope Canyon, San Francisco and Vegas is a great excursion for people that want to see natural wonders, spend some time in Las Vegas and visit the City by the Bay. Your adventure starts with the first two nights in Las Vegas where you can take in all the sights and sounds of Sin City. During you time in Las Vegas you will take an excursion to the West Rim of Grand Canyon where you can experience the glass Skywalk Bridge as well as the petroglyphs in Antelope Canyon and view the Horseshoe Bend of the Colorado River. Day 3 you are on the move to Los Angeles via the Ethel M Chocolate Factory, Tanger Outlet Center and Barstow. 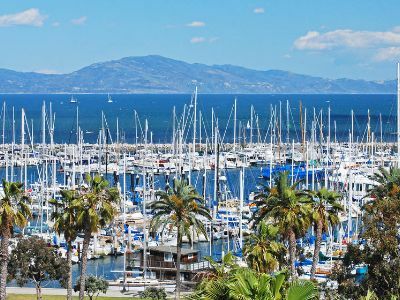 You will leave Los Angeles on the fourth day to travel to San Francisco while stopping at Santa Barbara along the Pacific Coast Highway. Day 5 you take a tour of San Francisco that includes Pier 39, cable cars and the Golden Gate Bridge. Your last day has you going from San Francisco to Los Angeles with a side trip to the Monterey Aquarium or Yosemite National Park. National parks, technology, the West Coast and Las Vegas are what you will witness when you take the 6-Day Las Vegas to San Francisco, Yosemite, Grand Canyon Tour. You begin your travels with the first two nights in Sin City where you can explore the Strip, Fremont Street and visit with Elvis. During your stay in Las Vegas you will take a side trip to the West or South Rim of the Grand Canyon and view Antelope Canyon. Day 3 has you traveling to Los Angeles for the evening with side stops at the Ethel M Chocolate Factory, the Botanical Cactus Garden and the Tanger Outlet Center. When you awake on day four your journey takes you along the Pacific Coast Highway to San Francisco via Solvang Village and Apple Park in Silicon Valley. 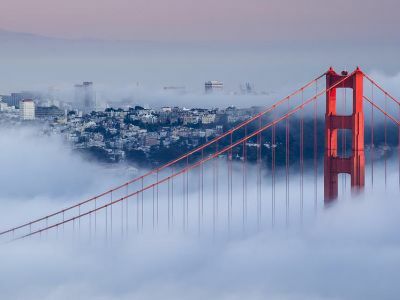 Day 5 you tour the City by the Bay while viewing the Golden Gate Bridge, Pier 39 and U.C. at Berkeley. The final day you will experience Yosemite National Park and the town of Fresno on your way back to Los Angeles. 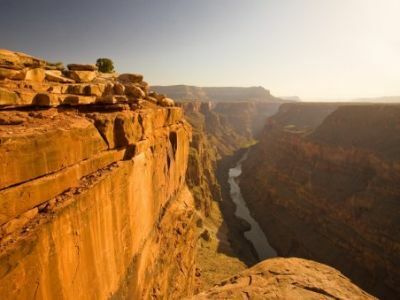 A perfect way to see the American West, several natural wonders as well as spend time along the California Coastline and in Las Vegas is the 6-Day Las Vegas to San Francisco, Grand Canyon South Rim, Lake Powell, Antelope Canyon Tour. Your quality adventure starts with an orientation in Las Vegas the first night and the second day you will travel to the South rim of the Grand Canyon passing through Page, Arizona. That evening you will bed down in Flagstaff, Arizona. Day 3 you will continue to Lake Powell, Antelope Canyon and the famous Horseshoe Bend of the Colorado River before resting your head once again in Las Vegas. 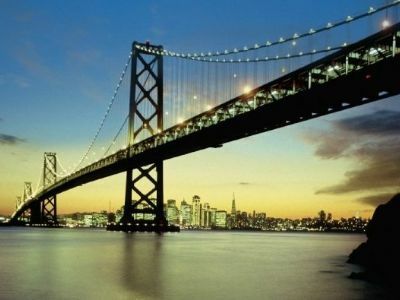 On the fourth day you will beeline to San Francisco where you will spend the night. Day 5 has you visiting Monterey Bay while cruising along the Pacific Coast Highway and the final day of your excursion is spent in San Francisco where you can visit all the sites from the cable cars to Pier 39. One of the most relaxing ways to see the California Coastline along with the numerous attractions around Las Vegas is the 7-Day Bus Tour Package from Las Vegas to San Francisco, Grand Canyon or Antelope Canyon and Los Angeles. This superb 7-day excursion begins with two nights in Las Vegas where you will have lots of time to visit the many Las Vegas attractions from the Strip to Fremont Street Experience to the Bellagio Fountains. During the second day in Las Vegas you will take a side tour to the South or West Rim of the Grand Canyon with stops at Antelope Canyon, the Horseshoe Bend of the Colorado River and the Hoover Dam. Day 3 you will make your way to Los Angeles via Barstow. On the fourth day you will travel along the Pacific Coast Highway with a stop at Santa Barbara on your way to San Francisco. Day 5 has you exploring San Francisco from cable cars to Lombardi Street to Pier 39. On the sixth day you will make your way back to Los Angeles via the Monterey Aquarium or Yosemite National Park. 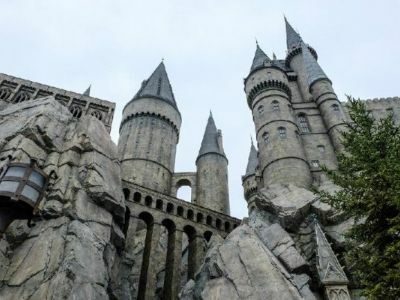 Your final day is spent in Los Angeles enjoying one of many attraction options that range from Universal Studios to San Diego to Disneyland to Hollywood. You will be delighted with all of the activities and sightseeing opportunities you will experience when you book the 7-Day Las Vegas to San Francisco, Yosemite, Grand Canyon, and Theme Park Tour. Your journey starts when you spend the first two nights in Sin City where you can explore all the interesting sites along the Strip and more. 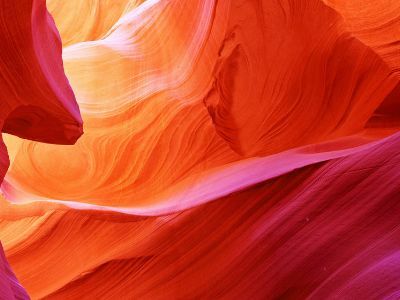 During the day you will have side trips to Antelope Canyon and the West or South Rim of the Grand Canyon. Day 3 has you traveling to Los Angeles with stops at the Ethel M Chocolate Factory, the Botanical Cactus Garden and the Tanger Outlet Center. When you wake up on day 4 you will spend the day in Los Angeles at Universal Studios, Disneyland or several other available attractions such as Hollywood. On the fifth day you move onward to San Francisco via the Pacific Coast Highway with stops at Solvang Village and Apple Park. Day 6 will take you on a tour of the City by the Bay, Pier 39 and U.C. at Berkeley before resting your head once again in San Francisco. 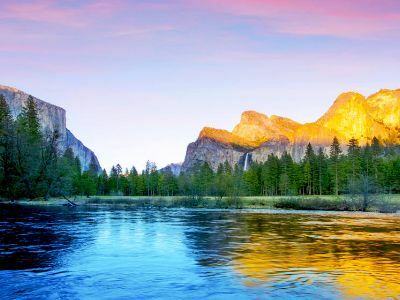 The last day of your excursion involves driving back to Los Angeles while making a stop at Yosemite National Park. When you are ready to experience natural wonders, neon signs and plenty of fun then you should try the 7-Day Golden West Coast Tour: Las Vegas, Grand Canyon, Los Angeles, Universal Studios and San Francisco. Your adventure begins with two nights in Las Vegas that offers side trips during the day to the West or South Rim of the Grand Canyon and Hoover Dam. During the evening you will have loads of opportunities to explore Sin City from shows to the Strip to the Fremont Street Experience. Day 3 has you traveling to Los Angeles with a couple of stops at the Ethel M Chocolate Factory and the Tange Outlet Center. On the fourth day in Los Angeles you will experience a day at Universal Studios and the beach at Santa Monica. 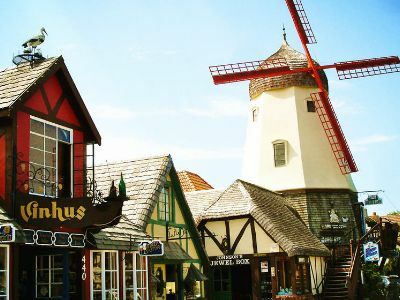 Day 5 has you moving to San Francisco via the Pacific Coast Highway where you will stop along the way at Solvang Village. 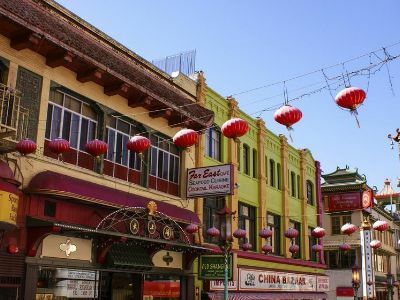 Your last two days of the tour features tours of San Francisco which can include Pier 39, the cable cars, Lombardi Street as well as a trip to U.C. at Berkeley. A perfect excursion when you want to experience Las Vegas, natural wonders and view the Pacific Ocean Coastline is the 8-Day San Francisco, Yosemite, West Grand Canyon (Skywalk) Tour and Two Theme Item Options from Las Vegas. Your 8-day journey begins when you travel from Las Vegas to the West Rim of the Grand Canyon where you can walk across the glass Skywalk Bridge and spend the first night near the canyon. Day 2 has you traveling back to Las Vegas for the night where you can explore Sin City, take in a show or just relax at a casino. You depart on the third day to Los Angeles via the Ethel M Chocolate Factory and Botanical Cactus Garden. Day 4 you are on the move up the Pacific Coast Highway to Solvang, Silicon Valley and an overnight stay in San Jose. On the fifth day you explore San Francisco on your way to spending the night in Modesto. Day 6 you travel to Los Angeles again with a stop at Yosemite National Park along the way. Your remaining two nights will be in Los Angeles where you can take in some interesting sightseeing options each day that include a trip to Santa Monica or San Diego, Universal Studios, Hollywood, Disneyland or a tour of the city. 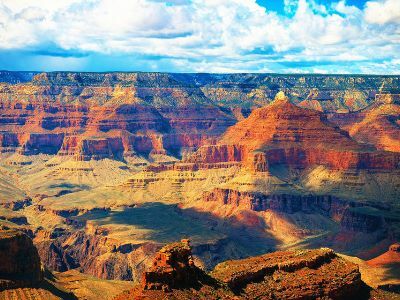 The 8-Day Bus Tour from Las Vegas to San Francisco, Grand Canyon, 17-mile Scenic Drive and Los Angeles is an ideal excursion for people who want to see everything from national parks to theme parks to the California Coastline. You begin your 8-day tour with the first two nights in Las Vegas where during the day you will visit Hoover Dam and the Grand Canyon at the South or West Rim. There is also time in Las Vegas for you to hit the Strip, go shopping or take in a show while you are there. 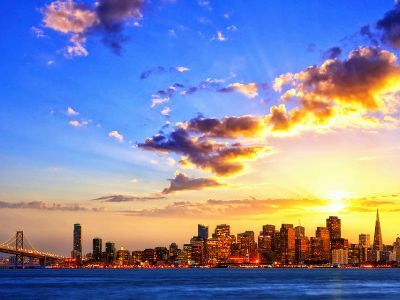 Day 3 has you on the move to San Francisco where you will spend three nights while visiting Pier 39, Monterey Bay, cable cars and Lombardi Street as well as drive along the Pacific Coast Highway. On the sixth day you travel to Los Angeles for the last three nights of your excursion. While in Los Angeles you will two days of sightseeing options like a day trip to San Diego, SeaWorld, Universal Studios, Disneyland, Hollywood and the beach at Santa Monica to experience. One of the best sightseeing opportunities for people that want to spend time in Sin City and along the California Coastline is to try the 8-Day Bus Tour from Las Vegas to San Francisco, Grand Canyon, Los Angeles, and 17-mile Scenic Drive from Las Vegas. Your 8-day adventure starts with two nights in Las Vegas where you will visit the Hoover Dam and the South or West Rim of the Grand Canyon. While in Las Vegas there will also be plenty of time to explore Sin City, take in a show or just hang out at the pool. Day 3 will take you to Los Angeles where you will spend three nights. During the day you have options to visit places such as Disneyland, a day trip to San Diego, Universal Studios and Hollywood. The sixth day you will travel to San Francisco via the Outlets at Tejon Ranch. Day 7 has you driving the Pacific Coast Highway, visiting Monterey and Carmel-by-the-Sea. Your final day of the excursion is spent touring San Francisco. If you are searching for a great way to see much of the California Coastline and spend time in Las Vegas then the 8-Day Bus Tour Package from Las Vegas to Grand Canyon/Antelope Canyon, Los Angeles and San Francisco Tour is perfect for you. Your first two nights on this excellent adventure will have you staying in Las Vegas where you can experience Sin City at its finest with side trips during the day to the Hoover Dam, Grand Canyon south or West Rim, Antelope Canyon and the incredible Horseshoe Bend of the Colorado River. Day 3 you will be transported to Los Angeles with stops at the Tanger Outlet Center and the Ethel M Chocolate Factory. 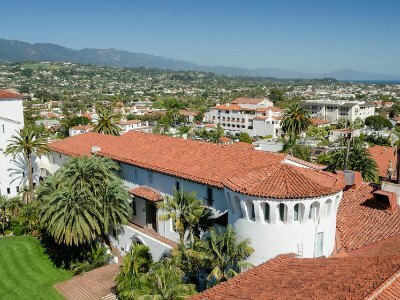 On the fourth day you head north along the Pacific Coast Highway through Santa Barbara until you reach San Francisco where you will spend the night. 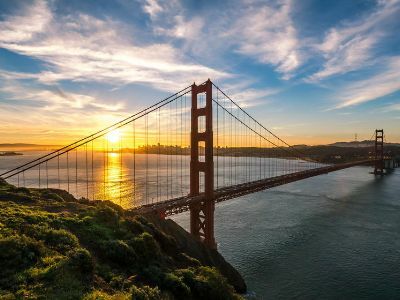 Day 5 will be spent exploring the sights and sounds of San Francisco and on the sixth day you will travel back to Los Angeles via the Monterey Aquarium or Yosemite National Park. 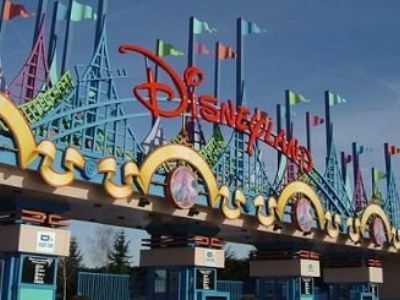 The remaining two days of your excursion will be in Los Angeles where you can visit places such as Hollywood, Santa Monica, Universal Studios, Disneyland, San Diego and SeaWorld. A fantastic way to visit Las Vegas and much of the California Coastline is to take a trip on the 8-Day Las Vegas to Grand Canyon, San Francisco, Yosemite and 2 options Tour. Your superb adventure begins with the first two days in Sin City where you can spend time exploring Las Vegas as well as the Grand Canyon, the glass Skywalk Bridge and Antelope Canyon. Day 3 has you going to Los Angeles with stops at the Ethel M Chocolate Factory and the Botanical Cactus Garden on the way. On the fourth day you will travel north along the Pacific Coast Highway to Solvang and stop at San Jose for the evening. Day 5 has you in San Francisco for a great day of exploring and then bedding down in Modesto for the evening. On the sixth day you travel back to Los Angeles via Yosemite National Park. Your last two days will be spent in Los Angeles where you can visit Disneyland, Universal Studios, Hollywood or the beach. An excellent way to spend time in Las Vegas before heading up the California Coastline is the 8-Day Las Vegas to Grand Canyon south/West, Los Angeles, San Francisco, Theme Park Tour. This adventure starts with you first two nights in Sin City where you will have plenty of time to experience the glory of Glitter Gulch. During these two days you can visit the South or West Rim of the Grand Canyon or view petroglyphs in Antelope Canyon. Day 3 you will visit the Botanical Cactus Garden, Tanger Outlet Center and the Ethel M Chocolate Factory on your way to Los Angeles where you will spend three nights. During your visit to Los Angeles you will have the option to visit numerous theme parks, the beach or mingle with the stars in Hollywood. The sixth day has you traveling to San Francisco along the Pacific Coast Highway with stops at Solvang, Silicon Valley and Apple Park before arriving in the City by the Bay. Day 7 allows for plenty of time to explore San Francisco with sites such as Pier 39, U.C. at Berkeley and the cable cars. On your final day of the excursion you will travel back to Los Angeles via Yosemite National Park. A relaxing way to see all the sites in Las Vegas as well as a majority of the West Pacific coastline is the 9-Day San Francisco, Grand Canyon South/West Tour from Las Vegas with Three Theme Parks. Your exclusive journey starts with the first two nights in Las Vegas where you can take side trips to Grand Canyon National Park, the Skywalk at the West Rim and Antelope Canyon. There will also be plenty of time for you to venture out into Sin City to experience the plethora of things to do in Las Vegas from shopping to gambling to museums to the observatory deck at the Stratosphere. Day 3 you will travel to Los Angeles with stops at the Botanical Cactus Garden, Tanger Outlet Center and Ethel M Chocolate Factory. The fourth day takes you to San Jose along the Pacific Coast Highway and you will visit Solvang Village. Day 5 will be spent in San Francisco where you can also tour Modesto. The sixth day takes you back to Los Angeles via Yosemite National Park. Days 7 thru 9 have you exploring theme parks and Los Angeles with options that include Disneyland, Universal Studios, Santa Monica, SeaWorld and more. The 9-Day Bus Tour from Las Vegas to Grand Canyon, Los Angeles, San Francisco and 17-mile Pacific Coast Highway Drive is an excellent way for you to see many of the outstanding highlights of the West Coast and Sin City. Your 9-day adventure begins with two fantastic nights in Las Vegas, where during the day you can visit the Grand Canyon and Hoover Dam as well as explore the incredible things to do in Las Vegas. Day 3 you will be transported to Los Angeles and on day 4 thru 5 you have the option of visiting San Diego, Disneyland, Universal Studios or explore the City of Angels. The sixth day you will travel to San Francisco via the Outlets at Tejon Ranch. 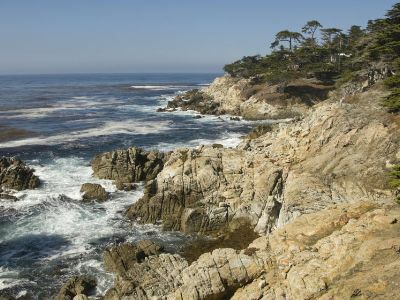 Day 7 you can visit Carmel-by-the Sea; take a 17-mile drive along the Pacific Coast Highway and spend the night in Monterey. The next morning you will visit Felton and Gilroy before bedding down in San Francisco. Your last day is spent exploring places like Pier 39, riding the cable cars or taking a tour of Alcatraz. If you are interested in spending time in Las Vegas while looking at one of the Seven Natural Wonders of the World as well as visit two cosmopolitan cities then the 9-Day Bus Tour Package to Grand Canyon South, San Francisco from Las Vegas is a perfect choice. Your journey begins in Las Vegas where you will bed down for the first two nights allowing you plenty of time to experience Sin City. During your stay you will have the opportunity to take side excursions to the Hoover Dam, the South or West Rim of the Grand Canyon, visit Antelope Canyon and view the Horseshoe Bend of the Colorado River. Day 3 has you traveling to Los Angeles via Barstow and day 4 you will exit for San Francisco while passing through Santa Barbara on the way. Your fifth day will be in San Francisco where you can explore the City by the Bay. Day 6 brings you back to Los Angeles with stops at the Monterey Aquarium or Yosemite National Park. 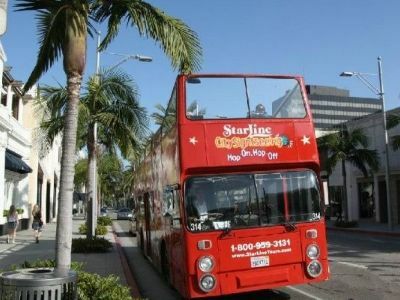 The remaining three days of your tour are spent in Los Angeles where you have a plethora of options to enjoy that range from Disneyland to Hollywood to Santa Monica to Universal Studios. The Las Vegas to San Francisco, Mexico, Los Angeles, Grand Canyon, Yosemite, Theme Parks 10-Day Tour is the perfect way to spend time in Las Vegas and view many of the nation’s national wonders. Your 10-day journey begins with the first two nights in Las Vegas where you will have time to explore Sin City; visit the West or South Rim of the Grand Canyon and Antelope Canyon. The third day you will travel to Los Angeles with stops at the Ethel M Chocolate Factory and Barstow before resting your head in the City of Angels. Day 4 has you going to Mexico where you will stop at Puerto Nuevo as well as Ensenada and you will bed down for the night in Rosarito. When you awake you will take a tour of Tijuana and pass through San Diego on your way back to Los Angeles to spend the night. The sixth day you will travel to San Francisco via Solvang Village, the Pacific Coast Highway and Apple Park. Another full day in San Francisco will give you the opportunity to visit Pier 39, U.C. of Berkeley and the rest of the City by the Bay. Day 8 you will be back to Los Angeles after you visit Yosemite National Park and Fresno. Your final two days are spent in Los Angeles where you have a stellar choice of options from the Universal Studios to Disneyland to Hollywood to the beach. When you want some quality time in Las Vegas and then travel up the Pacific Coastline where you will witness natural wonders then a great excursion for you is the 10-Day Las Vegas, Grand Canyon, Disneyland or San Diego, Universal Studios, Oregon Crater Lake, San Francisco Tour from Las Vegas. On this 10-day adventure you will start with your first two nights in Las Vegas soaking in sites like Hoover Dam, the South or West Rim of the Grand Canyon and Skywalk before heading out on the third day to Los Angeles. Day 4 and 5 are spent exploring the greater Los Angeles area with opportunities to visit San Diego, Disneyland, Universal Studios and the City of Angels. You will travel to San Francisco on the sixth day with stops along the way at Pyramid Lake and The Outlets at Tejon Ranch. After waking up in San Francisco you will move onward to Eureka, California while visiting the Redwood National Forest on the way. Day 8 you travel to Oregon with stops at Crater Lake National Park and Klamath Falls where you will spend the night. The ninth day you will explore Klamath Falls, take in views of Mount Shasta and McArthur-Burney Falls before bedding down in San Francisco. The final day you can explore the City by the Bay. A perfect way to see the highlights of the American West is to take the Las Vegas to San Francisco, Yellowstone, and Mount Rushmore Tour. The 12-day experience begins in Las Vegas where you will travel to St. George, Utah for your first night. The second day has you traveling to Glen Canyon Dam, Antelope Canyon and finishing the day in Bryce Canyon National Park. Day 3 you are on way to Grand Teton National Park before spending the night in Yellowstone National Park. On day 4 you will spend time around the geologic wonders of Yellowstone before spending the night in Gillette, Wyoming via Buffalo Bill Dam and the Shen Fall. Next up is Devil’s Tower National Monument, Mount Rushmore National Park, the intriguing Crazy Horse Monument and you will bed down in Casper, Wyoming. Now you travel through the Park City Olympic Village and spend night 6 in Salt Lake City, Utah. Nights 7 and 8 are spent in fabulous Las Vegas with side trips to the Grand Canyon National Park and Hoover Dam. Day 9 and 10 are spent in the greater Los Angeles area with trips along the Pacific Highway to Santa Barbara. Day 11 has you driving to San Francisco via Stanford University. After a city tour and night in San Francisco you travel back to Los Angeles. When you want to visit four western United States and spend some time in Mexico then an ideal trip for you is the Las Vegas to Mexico, Los Angeles, San Francisco, Grand Canyon, Yosemite and Theme Parks Tour. This 11-day extravaganza begins with three nights in Las Vegas with side excursions to the West Rim of Grand Canyon National Park as well as Antelope Canyon and you will have plenty of free time to explore Las Vegas. Day 4 has you traveling to Los Angeles via Barstow and the Ethel M Chocolate Factory. On the fifth day you will spend time in greater Los Angeles, driving on the Pacific Coast Highway through Solvage Village, Apple Park and spending the next two nights in San Francisco with excursions to Pier 39, U.C. of Berkeley as well as Lombardi Street. Day 7 you are off to Los Angeles once again with a stop at Yosemite National Park. The eighth day you are on the road to Mexico where you see Puerto Nuevo as well as Ensenada before bedding down in Rosarito. The next day you tour Tijuana as well as San Diego on your way to Los Angeles where for day 10 and 11 you can enjoy numerous theme parks, Hollywood, museums and there is time for the beach. An exciting way for you to see the American West in an up close and personal way is to take the Las Vegas to San Francisco, Yellowstone, Skywalk, Yosemite and Theme Parks-11 Days Tour. After leaving Las Vegas you will spend the first night in Saint George, Utah before leaving to Glen Canyon Dam, Antelope Canyon and Bryce Canyon National Park before spending your second night in Salt Lake City, Utah. 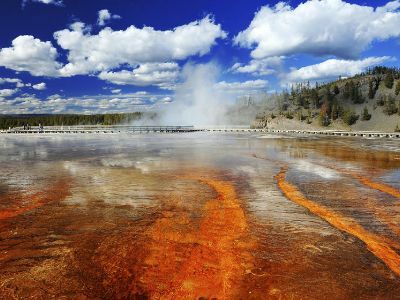 Your third day has you traveling to Yellowstone National Park where you will spend the night amongst the geologic thermal wonders. Day 4 has you exploring Yellowstone and Grand Teton National Parks as well as heading back to Salt Lake City where you will spend the night. Day 5 and 6 are spent in Las Vegas with excursions to the Hoover Dam as well as Grand Canyon National Park. On the seventh day you are off to Los Angeles with stops at the Botanical Cactus Garden and the Tanger Outlet Center. Day 8 you will spend another night in Los Angeles while exploring Santa Barbara and the Pacific Coast Highway during the day. 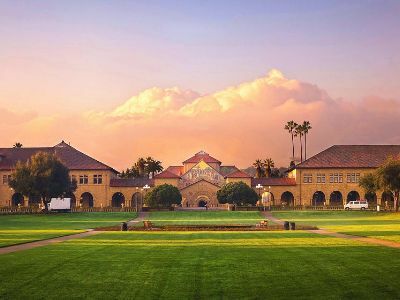 On day 9 you will be in San Francisco where you will make visits to Stanford University and Silicon Valley as well as a city tour during the day. You will travel to Los Angeles on day 10 passing through Yosemite National Park and day 11 you have eleven options of fun activities to choose from including theme parks, the beach and plenty of museums. One of the best ways to see all of the interesting sightseeing areas in several western United States is to take the Las Vegas to San Francisco, Yellowstone, Grand Canyon, and Yosemite Tour. This 11-day journey begins in Las Vegas with a night at the Stratosphere Hotel and Casino. Day 2 has you traveling to the West Rim of Grand Canyon National Park via a stop at Hoover Dam and your day ends in Saint George, Utah. Day 3 you continue in canyon country with stops at Glen Canyon Dam, Antelope Canyon and the famed Horseshoe Bend of the Colorado River before resting your head in Salt Lake City, Utah. The fourth day has you traveling to Grand Teton National Park before you reach Yellowstone National Park where you will spend the night. After spending time in the park on the fifth day you will go to Shell Fall as well as Buffalo Bill Dam and end your day in Gillette, Wyoming. Day 6 has you visiting Devil’s Tower National Monument, Mount Rushmore National Park and the intriguing Crazy Horse Monument and you will sleep in Casper, Wyoming. On the seventh day you will see Independence Rock and the Olympic Village at Park City before spending the night in Salt Lake City. Day 8 takes you to the Bonneville Salt Flats on your way to Reno, Nevada where you will rest your body for the night. Now you will be on your way to Lake Tahoe, Napa Valley and view the Castello Di Amorosa before bedding down in San Francisco, California for the evening. Day 10 is spent riding the cable cars, visiting U.C. Berkeley and the Aquarium of the Bay. The last day of your tour has you making a stop at Yosemite National Park before you reach the greater Los Angeles area. The Las Vegas to San Francisco, Yellowstone, Skywalk, Yosemite and Theme Parks-12 Day Tour is fabulous for anyone who is interested in seeing the highlights of several western states of the United States. Your 12-day journey starts in Las Vegas where you will travel to Saint George, Utah for night one. Day 2 you will tour Glen Canyon Dam, Antelope Canyon and Bryce Canyon National Park before bedding down in Salt Lake City, Utah. 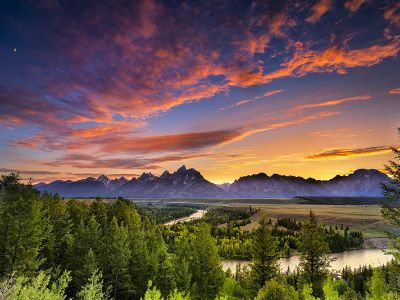 On the third day you will gaze at the wonders of Yellowstone National Park while spending the night in the national park and day 4 you will return to Salt Lake City via Grand Teton National Park. Day 5 and 6 has you bedding down in Las Vegas with superb side trips to Grand Canyon National Park and Hoover Dam. The next portion of the excursion is spent in California with day 7 and 8 in the greater Los Angeles area before driving on day 9 to San Francisco via the Pacific Coast Highway, Stanford University and Silicon Valley. Day 10 is back at Los Angeles with a chance to visit several theme parks on day 11 and 12. 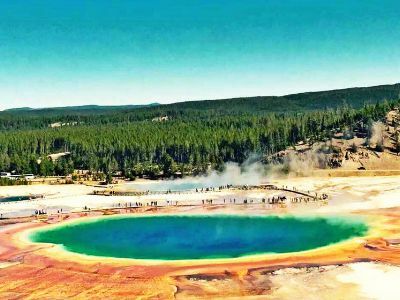 If you are interested in hitting the highlights of canyons, geologic features, towering peaks and huge monuments then a great excursion is the Las Vegas to Yellowstone National Park Bus Tour. This 12-day adventure has you traveling from Las Vegas to St. George, Utah on the first day. When you wake up on day 2 you will make stops at Glen Canyon, Lake Powell, Lower Antelope Canyon and Bryce Canyon National Park before bedding down in Salt Lake City, Utah. The geologic wonders of Yellowstone National Park and soaring mountain tops of Grand Teton National Park are showcased on day 3-4. You will travel to Mount Rushmore National Park, the Crazy Horse Monument and finish the day in Casper, Wyoming. Day 6 you are in Salt Lake City and day 7 has you back in Las Vegas for more fun before heading to Grand Canyon National Park as well as the Hoover Dam the next day. You will spend day 10 in Los Angeles where you have nine options of activities during your stay. Day 11 and 12 has you spending the night in San Francisco where you will have plenty of time to explore. On day 13 you will return to Los Angeles via Yosemite National Park or the Monterey Aquarium. When you are ready to see the central-western United States in a thrilling fashion then try the Las Vegas to San Francisco, Yellowstone, Mount Rushmore, and Theme Park-13 Days Tour. Your journey begins in Las Vegas where you will go through orientation of the premier places you will be visiting on the excursion. The next day you travel to Bryce Canyon National Park before spending the night in Salt Lake City, Utah. Days 3 and 4 have you witnessing the towering peaks at Grand Teton National Park and the geologic wonders of Yellowstone National Park. On day 5 you are off to South Dakota to Mount Rushmore National Park and the interesting Crazy Horse Monument before returning to Casper, Wyoming for the evening. Day 6 will take you to the Park City Olympic Village in Utah and Day 7 you will arriving back to Las Vegas for two nights as well as a side trip to Grand Canyon National Park and Hoover Dam. On day 9 you will be whisked away to Los Angeles while viewing a chocolate factory, the Botanical Cactus Garden and shopping at the Tanger Outlet Center. The next two days has you traveling to San Francisco via the famous Pacific Highway and in San Francisco you will have a chance to visit Pier 39 as well as U.C. at Berkeley. Day 12 brings a drive through Yosemite National Park and Fresno before spending your last night in Los Angeles. Need ideas what to do while in San Francisco? Check out San Francisco Tourism Tips !